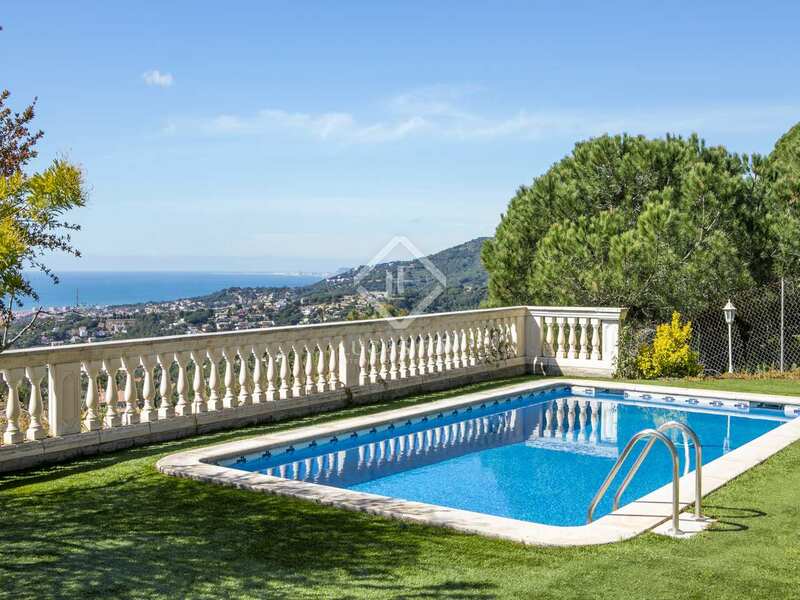 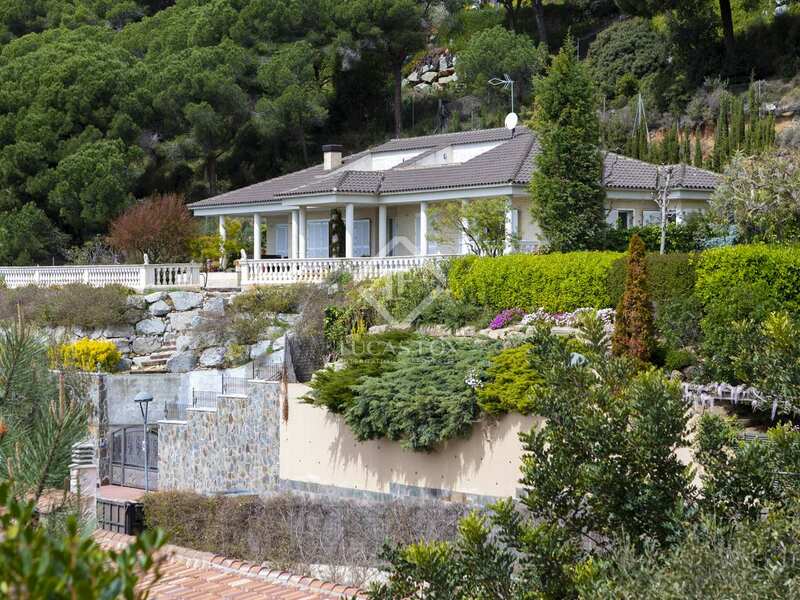 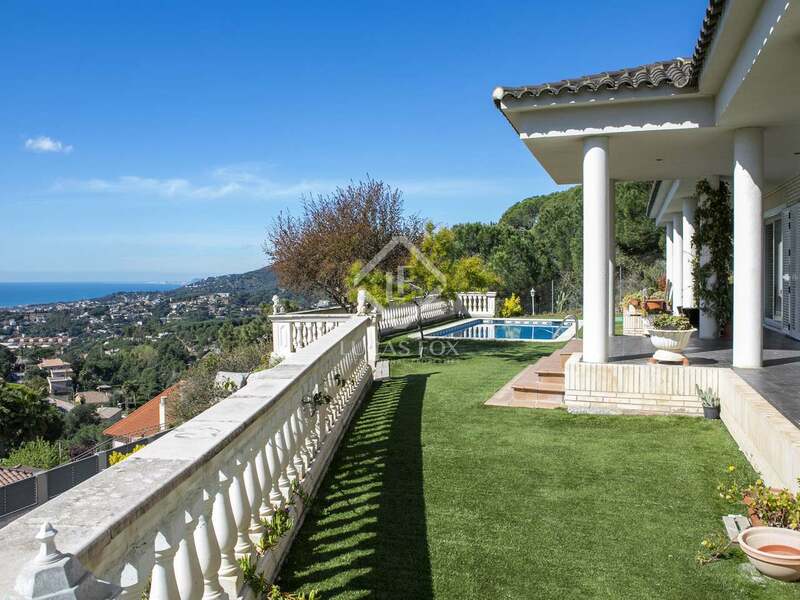 This 430 m² villa boasts commanding views of the sea and surrounding greenery from its hillside location in the picturesque Mediterranean town of Cabrils. 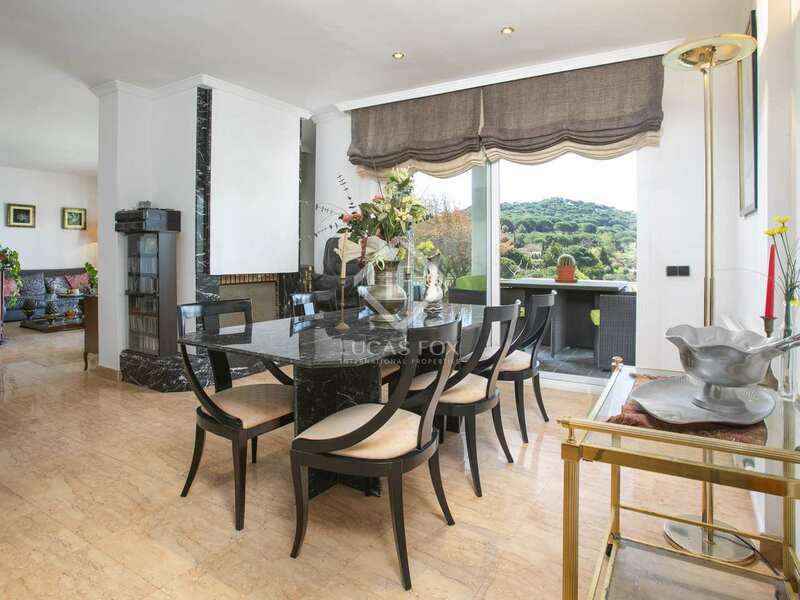 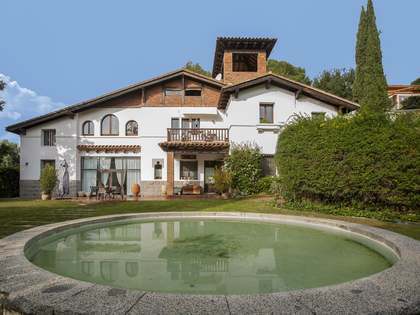 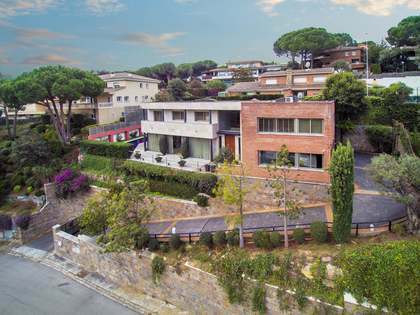 This idyllic location offers easy access to the town's amenities, the beaches of the Maresme Coast and the Serralada Natural Park; all with Barcelona just 30 minutes away. 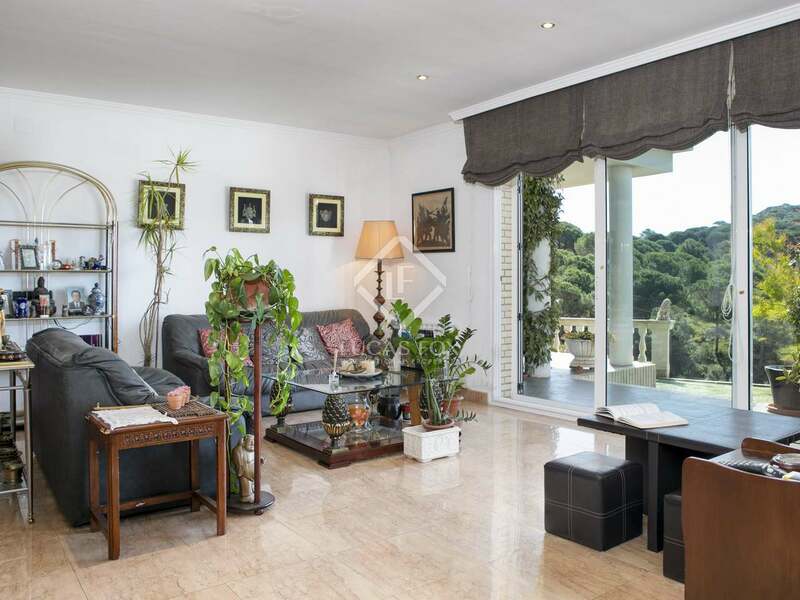 Built in 2003, the house is mainly on one single level with a sunny southern aspect and a 1,050 m² flat plot with a chill out area, an inviting swimming pool and garden all on the same level. 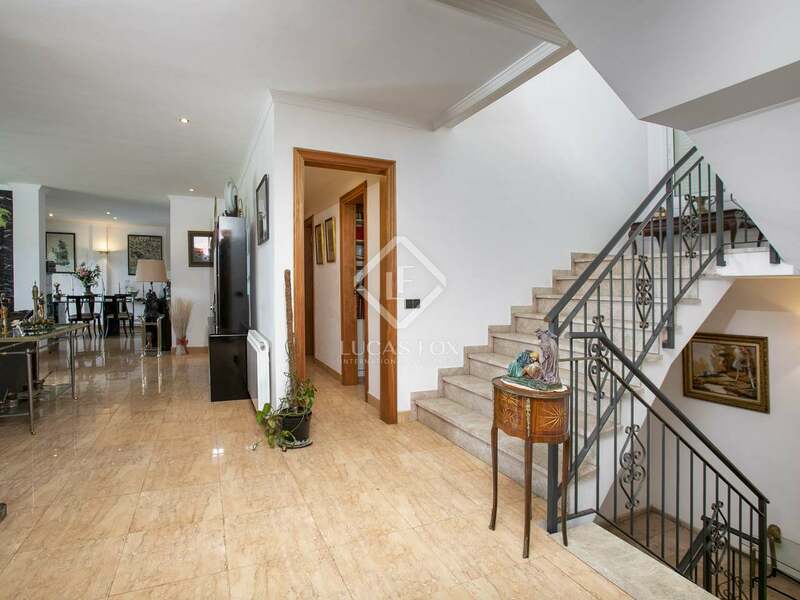 The entrance hall on the main floor takes us to the living room with a fireplace and exit to the porch area. 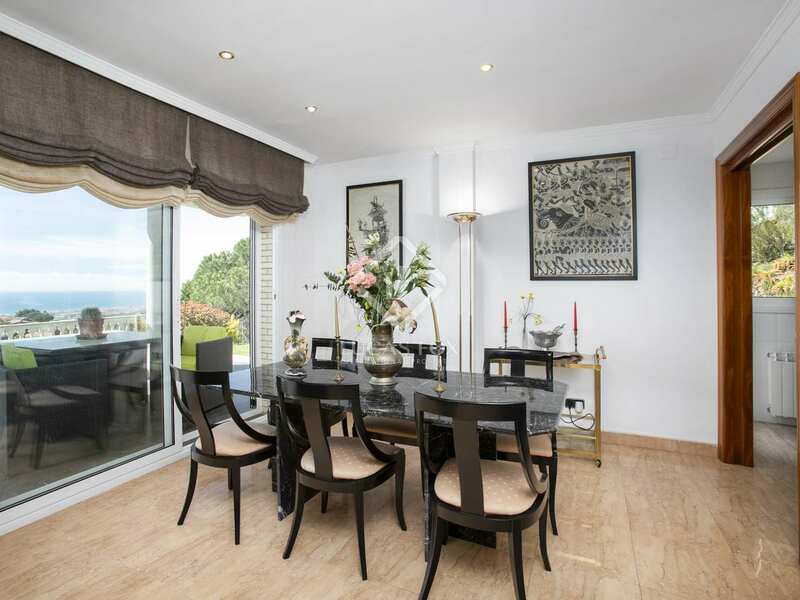 There is a dining room which also provides access to the porch, a kitchen diner and a laundry room. 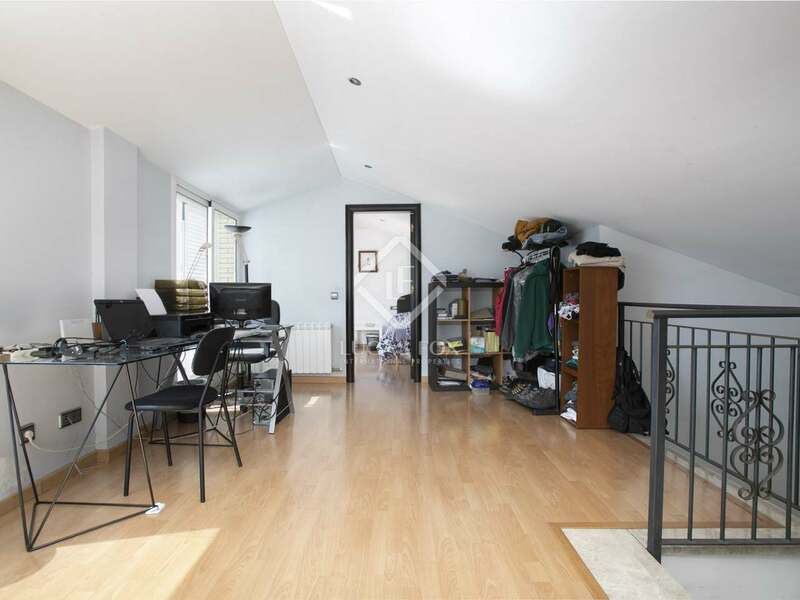 Moving on we find 3 double bedrooms, 2 of which have ensuite bathrooms and all have built-in wardrobes and access to the terrace. 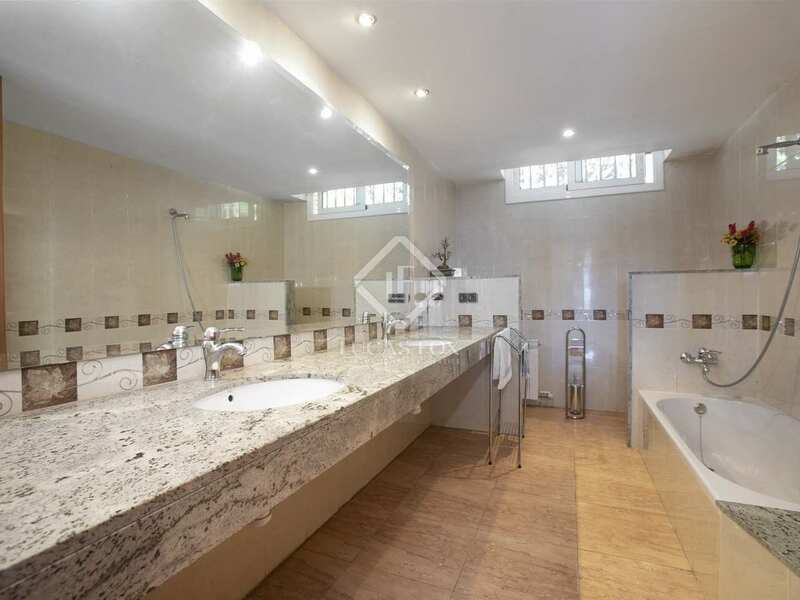 Finally, an office and a bathroom complete this level of the house. 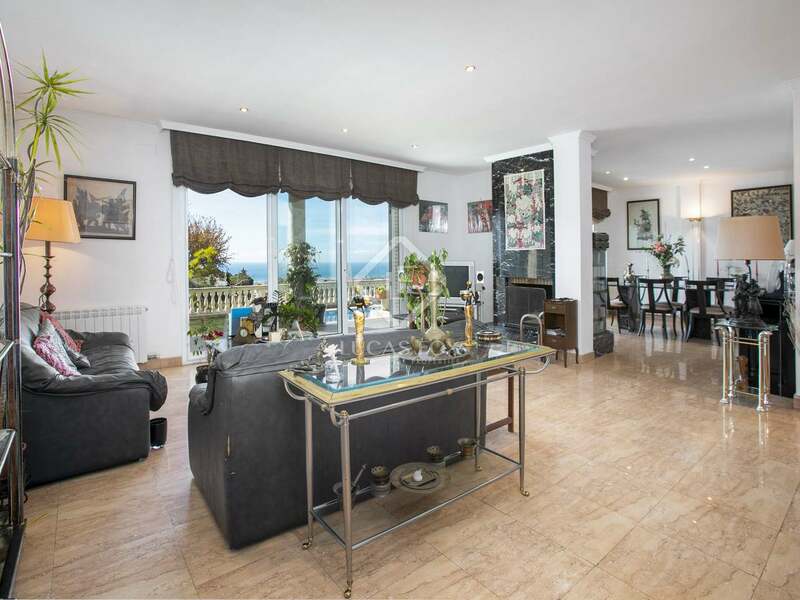 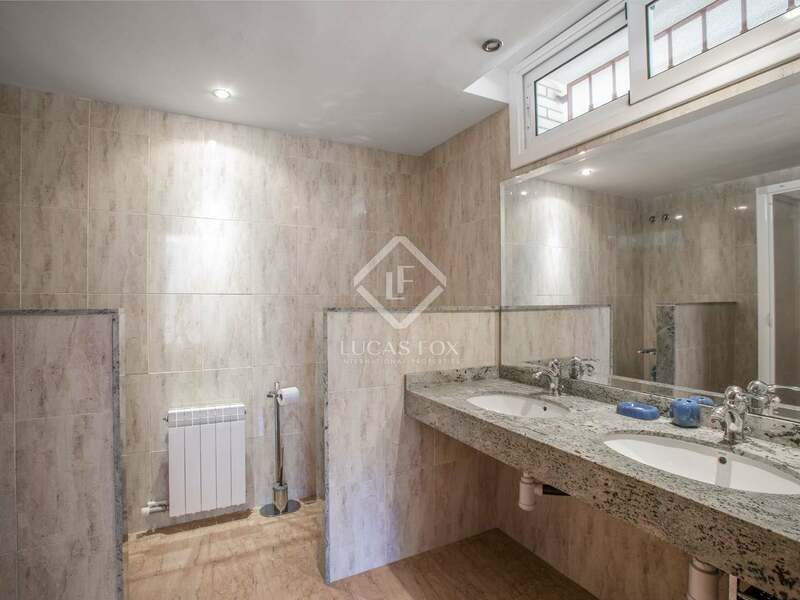 The first floor offers a room that is currently used as an office another double bedroom with access to a terrace with great views and a bathroom with a bathtub. 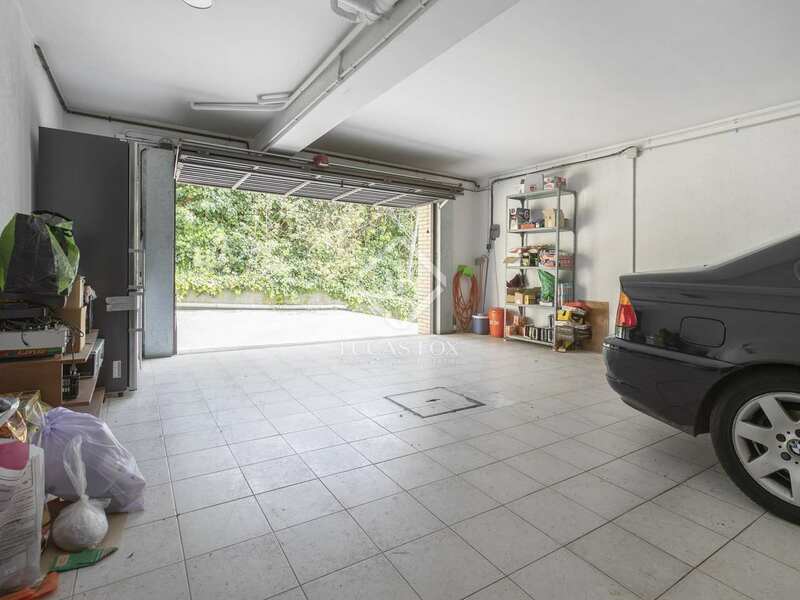 In the basement we find a garage for 2 cars and 2 storage rooms. 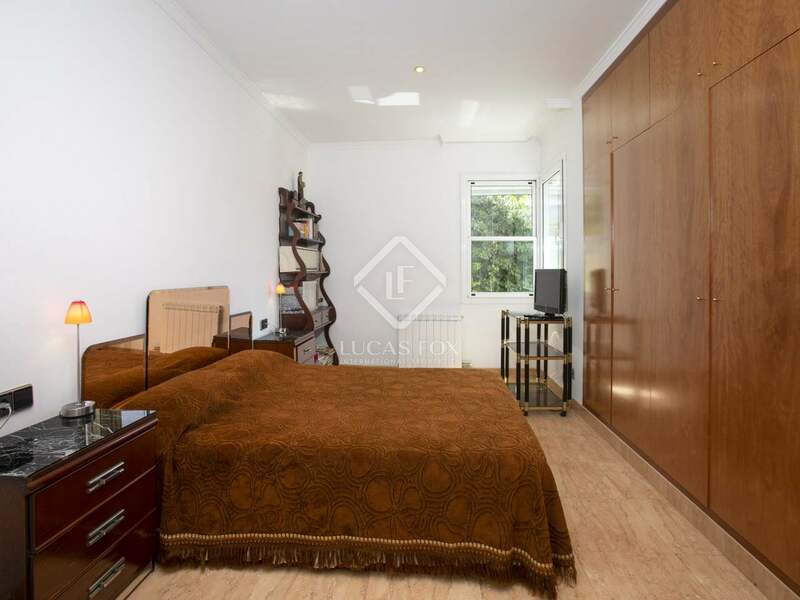 This excellent property benefits from double glazed windows, gas heating, air conditioning, 2 water tanks and an automatic garden watering system. 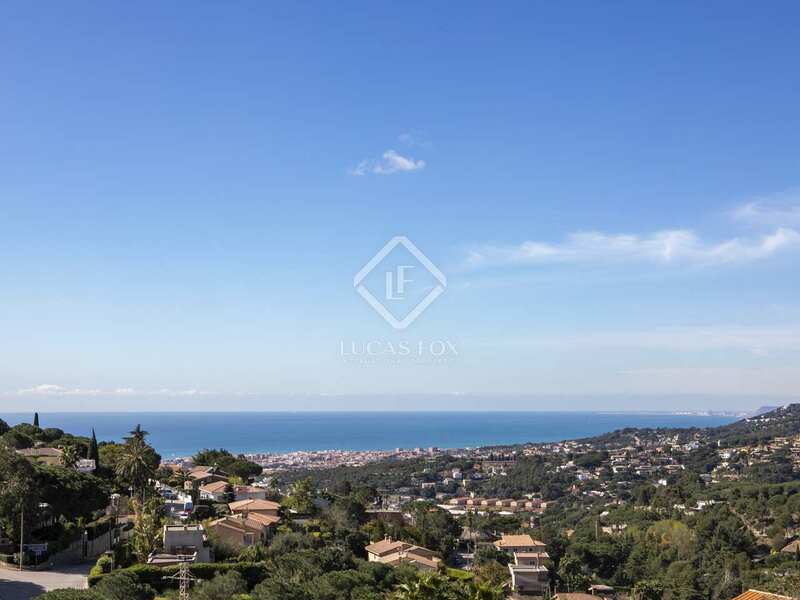 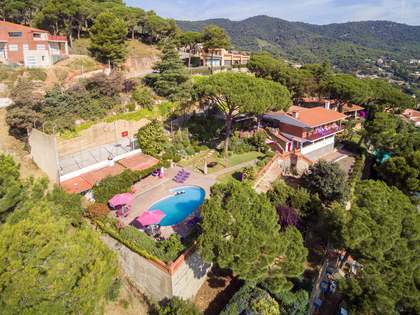 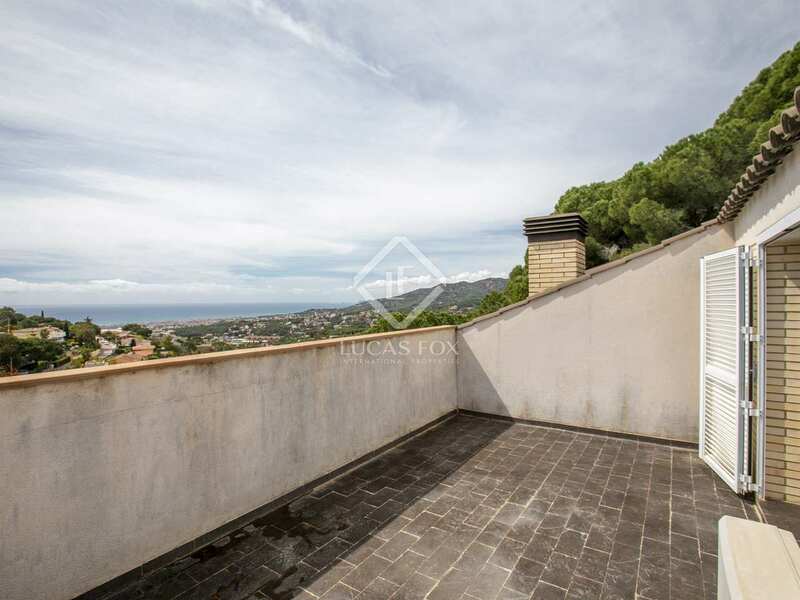 A wonderful, spacious home on an elevated plot with stunning views across the sea and out to Barcelona City in the distance. 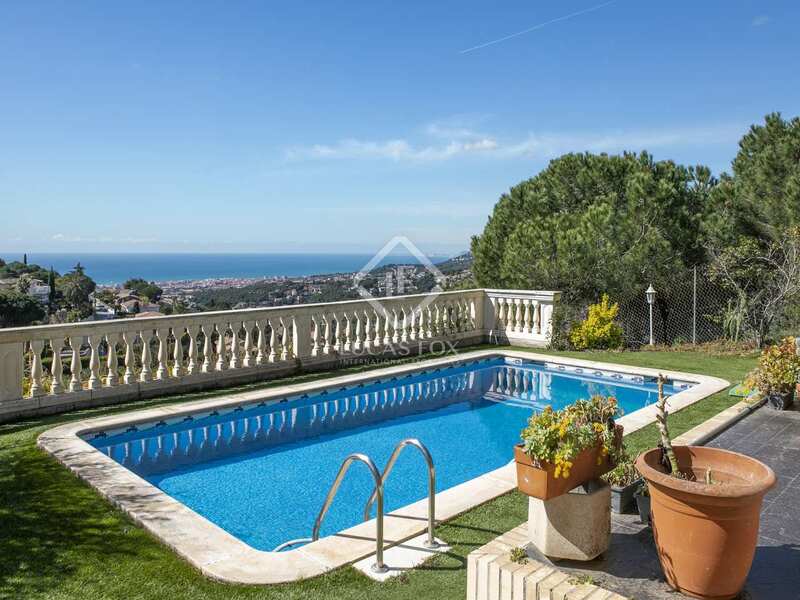 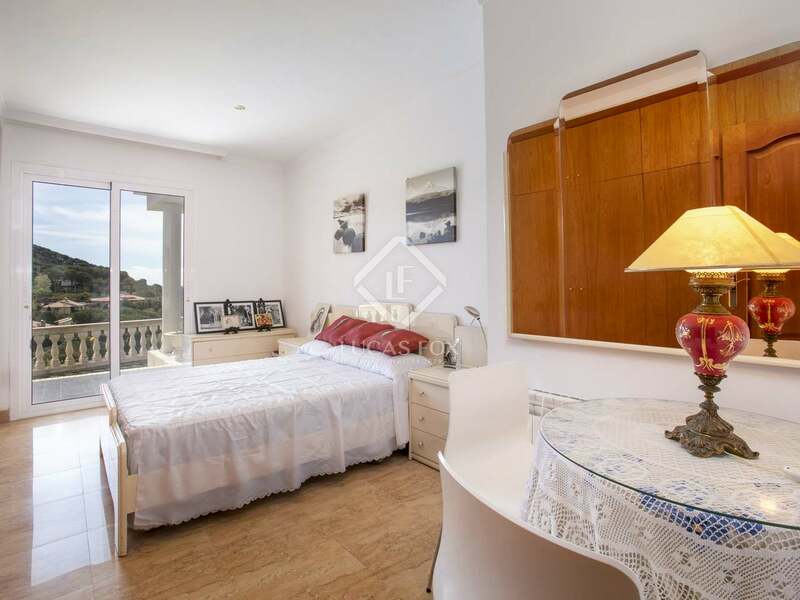 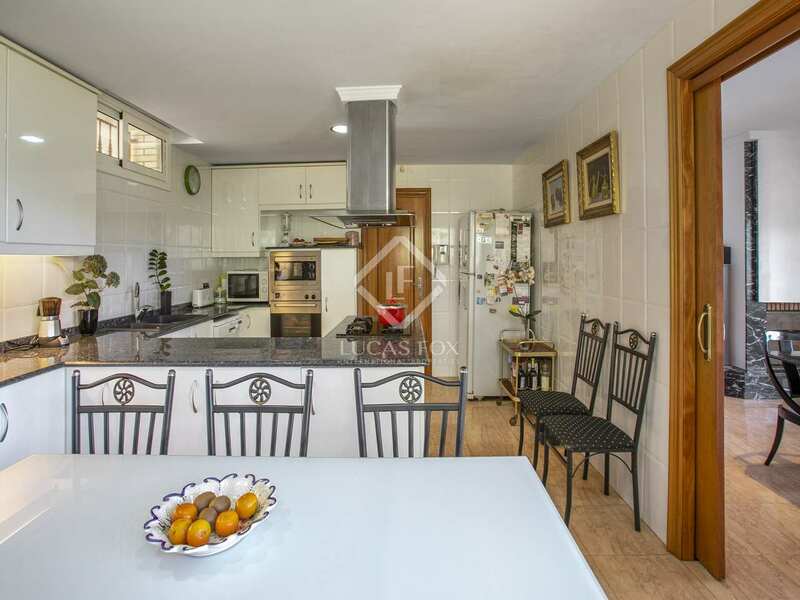 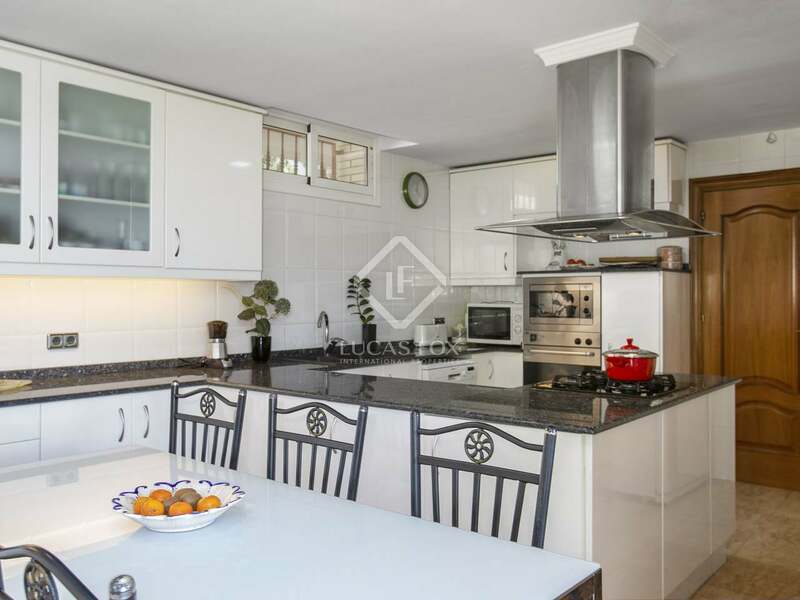 This property is located in Cabrils, within very easy reach of local amenities, the Serralada Natural Park for outdoor leisure and the beach. 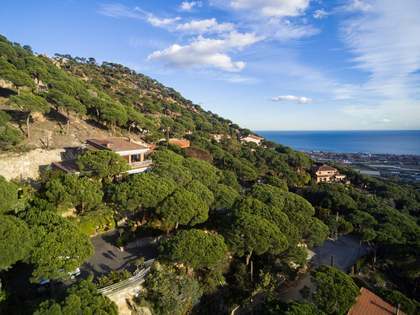 Barcelona is just 30 minutes away.